You made your first sale, signed your first contract, successfully provided your services for the first time - everything looks great. Your new business is headed in the right direction. Now you need to translate your work into business language - invoicing. This is the first step in providing your company with the nutritious cash inflow that keeps it going. This easy invoice template that you can customise, lets you organise all your customers and billing-related information. You can add VAT, multiple currencies and products, keep track of your outstanding invoices, in other words, make it your own. You can even generate receipts for each payment. 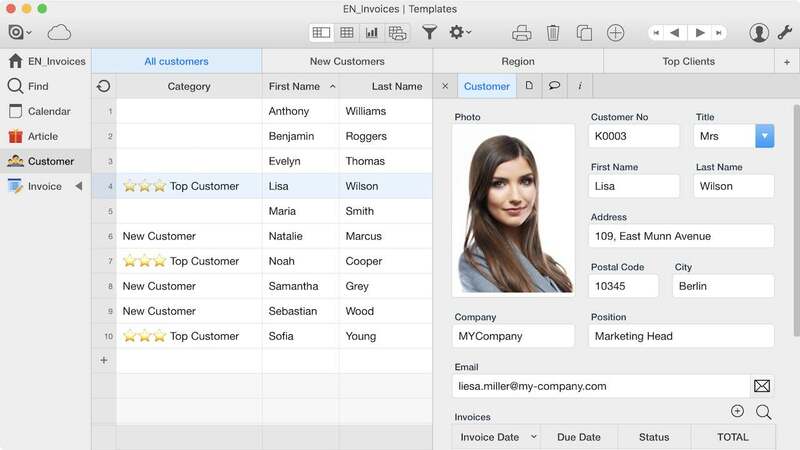 This template also includes a ready-to-use print layout for invoices. Design it with our flexible print layout editor and add your own logo. 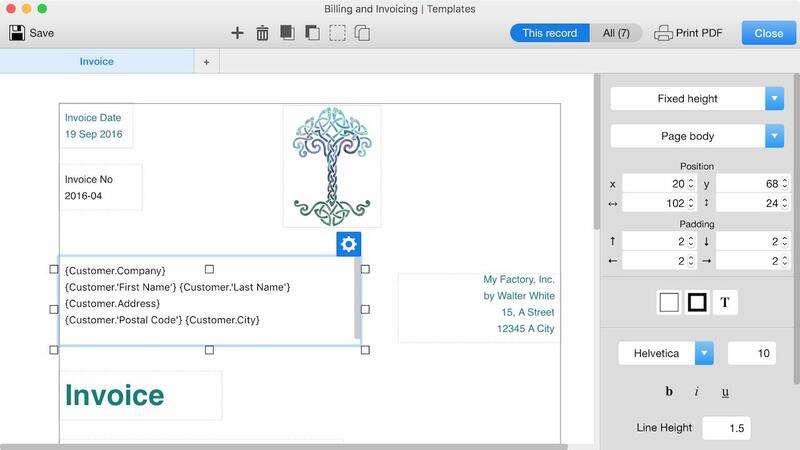 You will save time with these features: print your invoice and send it to your client or save all of the invoices and send them to your accountant. Now analyse your sales with a graph view and grow your small business or freelance job into a thriving company.